It’s been difficult to keep up with all of the smaller updates coming out from Eagle Dynamics about the Hornet recently. It’s not quite a firehose of information but we’re at the point where it does just keep coming and that means that this will probably be a sizable update on everything going on. I’ll try and keep things short so you’re up to date. One of the new systems updates coming is adding the ability to designate a waypoint as an A/A or bullseye point. This has some interesting functionality, of which I’m not fully understanding how it all works yet, but it does give you some interesting range and distance information to the bullseye point as well as giving you bearing and range of the TDC on the radar display. Together these features should help with situational awareness in more complex scenarios. See Matt Wagner’s post about it here for the details on how it will operate once enabled. New A/A (Bullseye) waypoint functionality on display. The other news is that the GBU series of Paveway laser guided munitions are currently being developed for implementation on the Hornet. The GBU-10 (2000lb), 12 (500lb) and 16 (1000lb) will be coming first and will need a buddy lase for the immediate future to use (just as with the AGM-65E laser guided Maverick). The Paveway III GBU-24 with its 2000lb warhead and more sophisticated seeker system apparently requires additional programming and it will be coming last. Another update from Matt Wagner has indicated a change on which versions of the AGM-65 will be supported on the Hornet. In the previous Open Beta, we introduced a very early version of the IR Maverick for the Hornet. In the next Open Beta, we’ll release the completed version. Of note, we will include the AGM-65F and not the AGM-65G. Although we found a couple of official sources that list the AGM-65G as a legacy Hornet weapon, we cannot find any evidence it was ever deployed to the fleet. So, the Maverick versions for our Hornet will be the laser-guided AGM-65E and the infrared-guided AGM-65F. Things get a bit confusing with AGM-65 versions. The one we know that is locked in on the Hornet is the AGM-65E which uses a laser seeking warhead. The AGM-65F and G are very similar types with the AGM-65F developed especially for the US Navy and with a seeker optimized for anti-ship abilities. 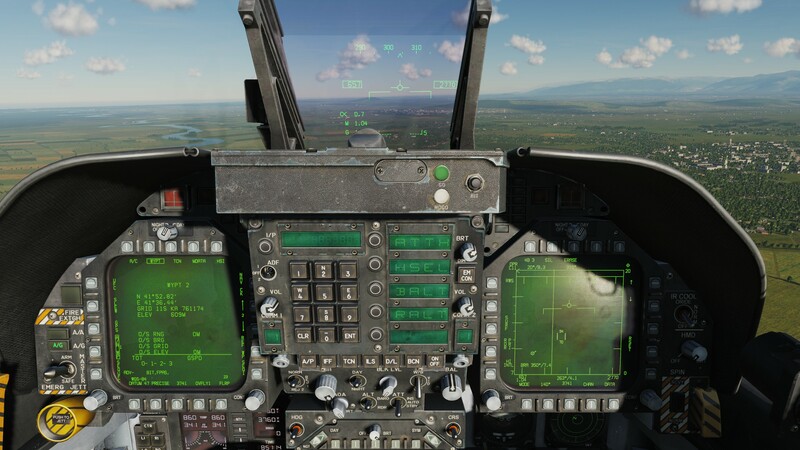 The AGM-65G has been available on the Hornet but it is going away now and so will its force correlate feature allowing you to lock a target point without a solid lock on an object. This change is recent as Matt did a quick tutorial of the AGM-65G about two weeks ago as you can see below. Of course, changes like these happen and these Maverick options haven’t yet moved out of the public beta release schedule so folks on the main release schedule won’t have seen them at all. Several updates are coming to the Hornet in the near future with the previously mentioned GBU-10, 12 and 16 as well as the A/A (Bullseye) waypoint and BRA data. But there are also some other features in the pipeline ranging from debugging on the radar, Maverick and JHMCS display. There’s plenty of other interesting information on the list too such as the Datalink functionality (MIDS/Link16) which should provide a real boost to Hornet pilots trying to get a sense of what’s around them with data being fed by other Link16 equipped aircraft. The HARM is once again at the top of my list for what I want to see added to the Hornet. The AGM-88 HARM is a anti-radiation missile designed to seek out the radar systems used by surface to air missile batteries. The HARM will give the Hornet the ability to engage SAM sites at approximately 80 nautical miles – extremely useful capability. 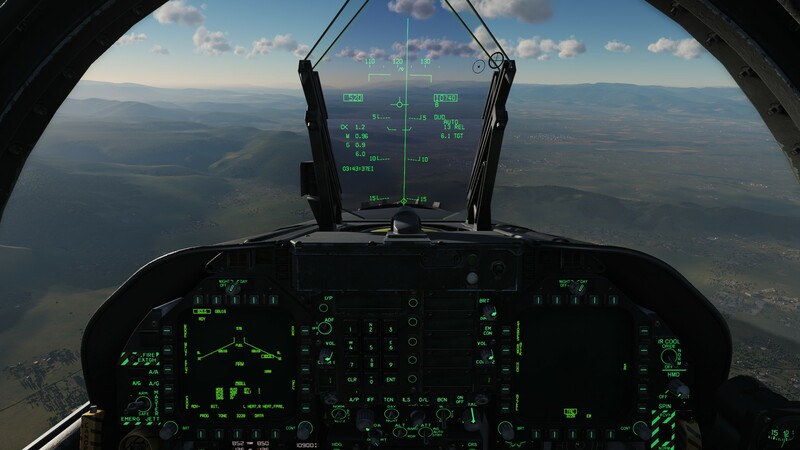 Eagle Dynamics has been recording and pumping out new tutorials for the Hornet at an incredible pace recently offering tutorials on how to use everything from the gun (in air and ground modes) to IFR landing to high-drag bombs. Keep an eye out as more will surely emerge sooner than later. Here are just some of the recent additions to the list on Matt Wagner’s YouTube channel.